This MP3 goes well with any Weightlifting Program! UNLEASH IT WITH THIS POWERFUL Increase Muscle Mass Hypnosis MP3!!!! Hypnosis has a real and powerful impact on the body, not only on health, but also on physical attributes. How can a physical reaction occur through what is seemingly a mental process? It’s easy. So much of our physical state and well being relies on mental messages. That is how the Increase Muscle Mass Hypnosis MP3 session is able to work to actually increase muscle mass. Cells in the body have a “memory” of their own. Through hypnosis, the information given from one dying cell to another forming cell is passed along. What information it gets depends on the message of the hypnosis session. Of course physically exercising a muscle will help to condition it and make it strong, but there is more to the mind over matter theory here than you might expect. Hypnosis works by helping the person achieve a completely relaxed mental state. This is the foundation for important messages to be fed by the hypnotherapist into the subconscious mind of the recipient. The conscious mind is also aware of the messages being given, but is often over analytical and puts up barriers that prevent the subconscious mind and body from doing all that it is capable of. This example of over thinking is also true when using hypnosis to increase muscle mass. We are so programmed into thinking that the only things that will impact our muscle mass are genetics, exercise and nutrition. All of those elements play a key role, but the brain which is at the center of all bodily responses, should not be underplayed. 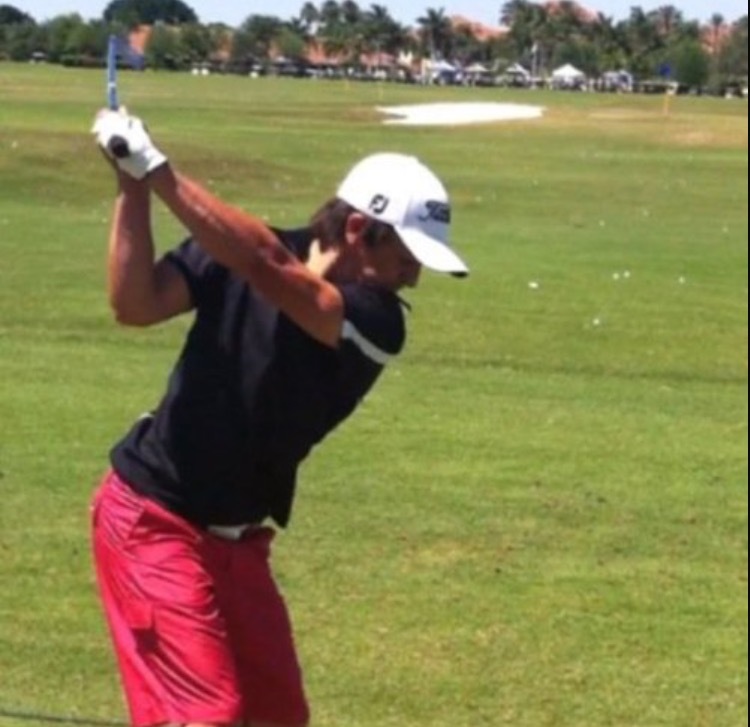 Mental messages through hypnosis can alter physical attributes such as muscle mass. Just ask Steve G. Jones. He is a clinical hypnotherapist who has created the Increase Muscle Mass Hypnosis MP3 download. Here he leads the listener through the script that communicates messages to the brain. The brain and the cells it controls are “taught” how to perform for greater muscle mass. Steve G. Jones, Ed.D., Clinical Hypnotherapist, charges $1,500 for a custom recording and $25,000 for a one-hour private hypnotherapy session at his office. But you can get all the benefits for this low price. 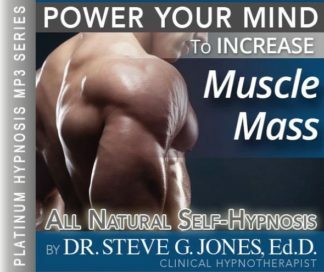 Simply listen to the Increase Muscle Mass Hypnosis MP3 audio every night as you go to bed for three weeks and feel the changes happening in your life. You will feel more empowered, more in touch with your true self, and you will truly know that your goals are within your reach. Your mind is at peace, just at peace, relaxed, calm, and so comfortable. You breathe easily and gently and you feel yourself relaxing more and more. Your mind becomes calm like a lake without a ripple, so calm, and more and more at ease. As you now relax there, lying down, focusing on your body. And as now you go from head to toe thinking about your body, your body becomes stronger and stronger, that’s right. Just imagine your body from head to toe, your reviewing your body, thinking about your body, looking at your body, imagining your body. As you move slowly now, scanning your body from head to toe. As you come to a part of your body where you would like increased muscle mass just focus some warm energy there, that’s right. For example if you come to your shoulders and you want those muscles to increase, find yourself focusing some warm energy on your shoulders. You can feel the response from your shoulders as they respond they almost seem to say yes, yes. You will increase in size, become stronger, or for example if you want to increase the size of your chest or your arms, you focus the warm energy there. And in so doing you will hear your body respond yes, yes. The muscle mass will increase there because your subconscious mind is in charge of increasing your muscle mass and you can focus on any part of your body you choose and over time, that muscle will improve. That muscle will become stronger or that group of muscles will become stronger day by day. I’m speaking now to your subconscious mind, giving it an absolute command that when you sleep at night, the muscle groups which you choose to increase, will increase, that’s right. The subconscious mind is in charge of all body activity and now it is being given a direct command to increase the muscle mass in those parts of your body which you choose to increase, that’s right. So throughout the day, think about those parts of your body where you would like larger muscle mass and at night, your subconscious mind must increase the size of that muscle mass. Your subconscious mind is at your control. You direct it to increase the muscle mass. Those parts of your body where you would like to see increase, the other parts do not increase, that’s right. You are in charge. Your subconscious mind is now being directed to act on your commands. You are in charge of your mind. You are in charge of your body.